For use with Shimano WH-R501 rear hubs. Will the nut "cone" fit the Front axel ? Unfortunately we would not be able to tell as we have never tried fitting it on to a front axle before. The cone outer diameter is 16.95mm, the length is 4.5mm and the inner diameter is 12mm. Will This Be Compatible With A Wh-R550? I have a wh-r550 rear wheel, this part looks awfully identical, might it be compatible? 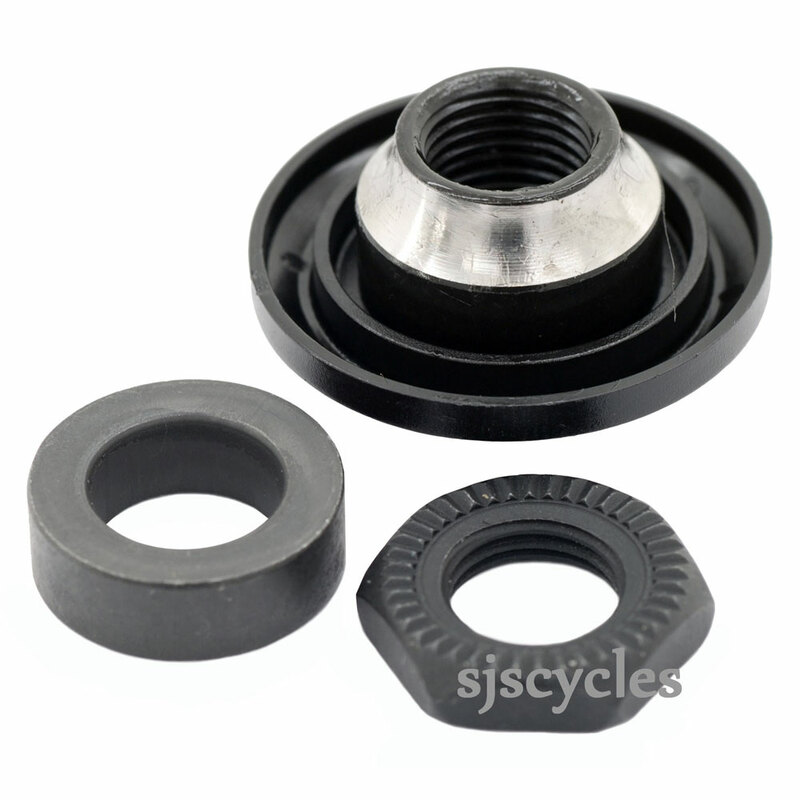 Hi, as stated in the description this lock nut unit can be used in the WH-R500 wheel.